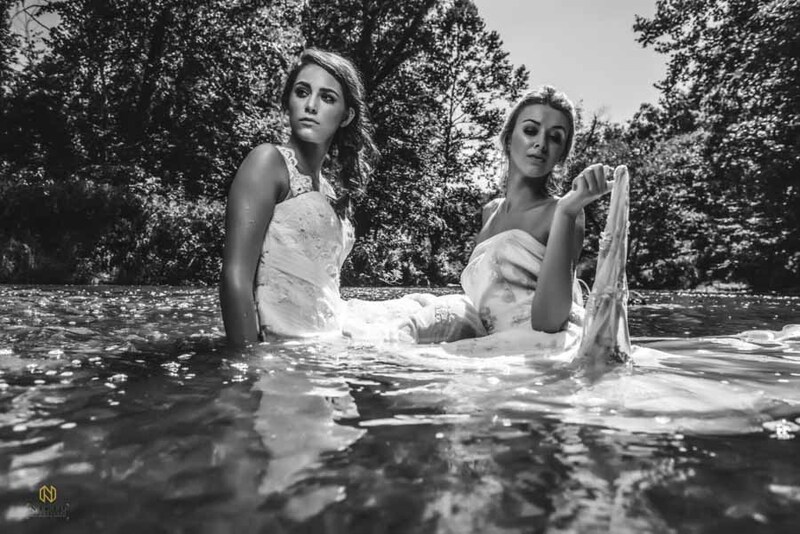 Make sure to check out the 2015 Eno River bridal shoot. 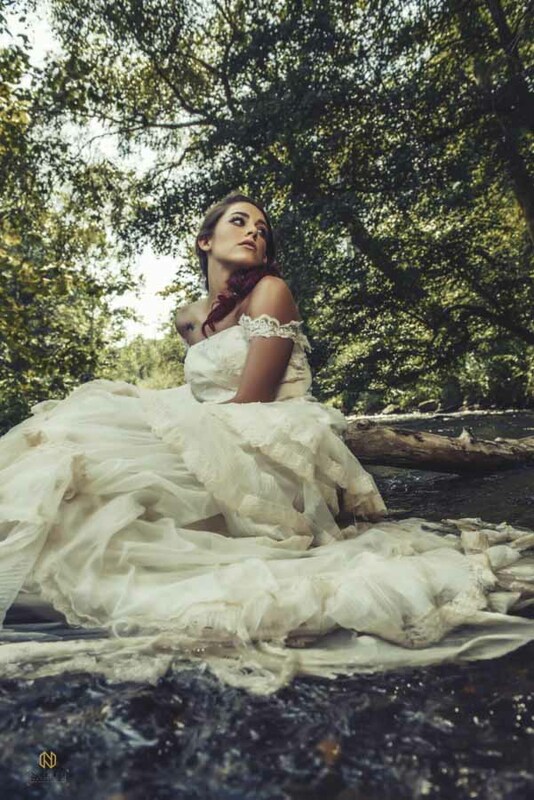 I wanted to repeat the Eno River editorial shoot but I wanted to bring in professional hair and makeup artist to take the look to another level. The Eno River is a fairly remote location it took some searching to find the right team of artist to pull off the shoot. In early 2016 I met Kristi and Krystal of Wink Hair & Makeup at a wedding vendors networking event. We had lunch a few weeks later to plan out a wedding shoot later in the year. In the meantime, we talked about other ways we could collaborate. 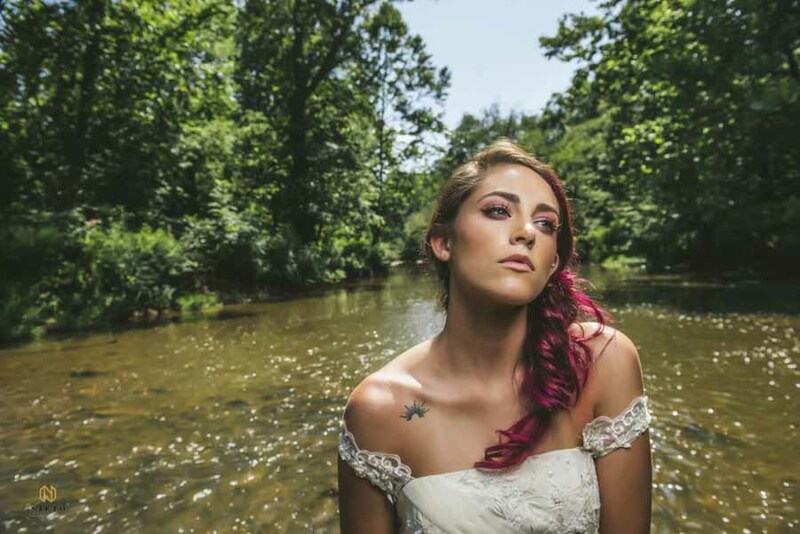 Summer rolled around, and I knew I had to have WINK doing the hair and makeup for my Eno River bridal portrait shoot. I gave them complete creative control, and the result was terrific. The hard part about being a full-time photographer is there aren’t that many others around. When it came time to find assistance for my shoot, there was no one to help. After five or on the weekend I could find any number of people to help. I didn’t want to shoot the portraits in the late afternoon or early evening. My interest was shooting during the hight of the sun. Traditionally this is a tough time for most photographers because the sun cast such harsh shadows. The plan was to use a two or three light setup, but once I realized I was shooting this by myself, I had to come up with a new game plan. All the portraits where shot using artificial light and the sun. I was more than thrilled with the result. I had to hand hold the light, on a monopod, with my left hand and hold the camera in my right. The 2015 series was shot over 6 hours. 2016 was a little faster. While shooting in the river, we were greeted by several snakes coming down the rapids. Needless to say, no one was really interested in getting back in the water. Even with the short shoot time, we were able to make some great portraits. If you have any questions about my editorial projects, please feel free to contact me.